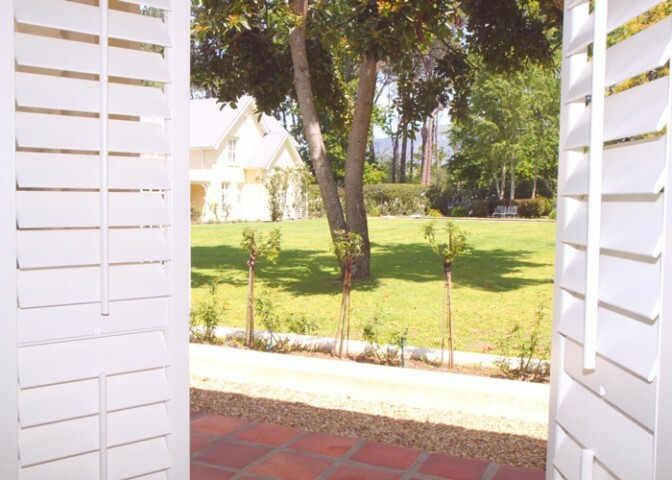 AMERICAN shutters® recently did an installation in Constantia, Cape Town. Homeowner and client, Michelle had created a beautifully-decorated guest cottage on her property and she required shutters and blinds to match her neutral honest decor style, and to make the most of the stunning green lawn and gardens the guest cottage had access to. 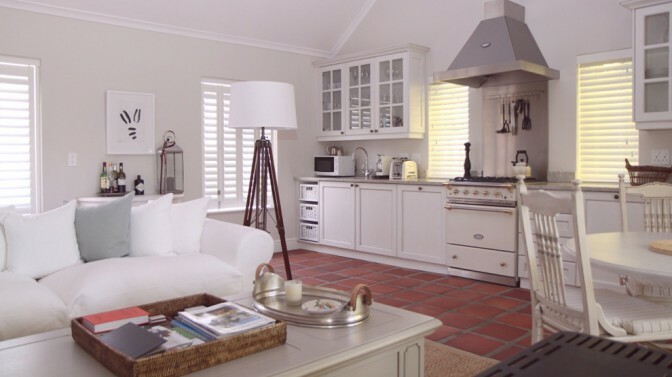 She chose our Decowood shutter range in Silk White. In the guest cottage bedroom we installed hinged shutters on the side window and bi-fold shutters leading out to the beautiful gardens. Shutters provide excellent light and ventilation control and are ideal for ensuring privacy in a guest bedroom. In the guest cottage living area; comprising lounge with welcoming fireplace, dining area, mini-bar and kitchen, AMERICAN shutters installed hinged and bi-fold shutters, and our new Privacy Blinds on the kitchen windows. 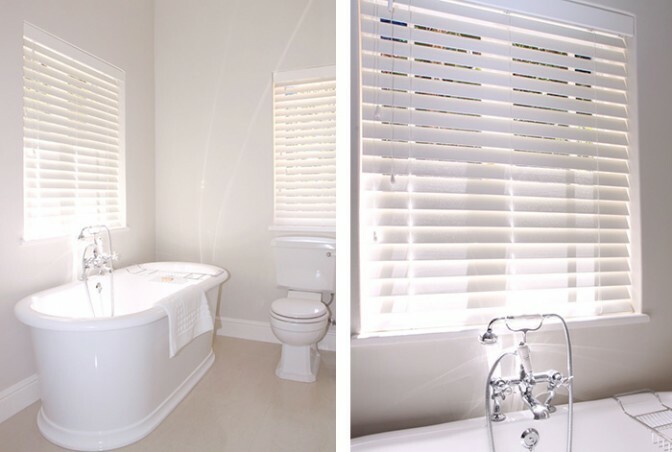 The blinds were customised to match the Decowood shutters installed in the same area. Privacy Blinds are ideal for bathrooms and kitchens as they resist cupping, twisting and warping, and are easy to clean and maintain. 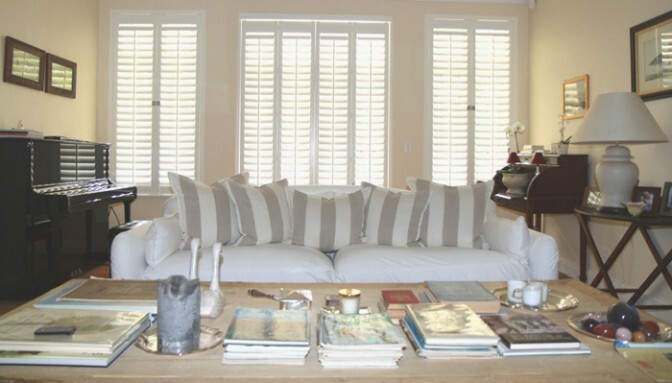 While finishing Michelle’s guest cottage, we also installed Decowood shutters in her beautiful Constantia home; adding style and value to her elegant lounge and dining areas. 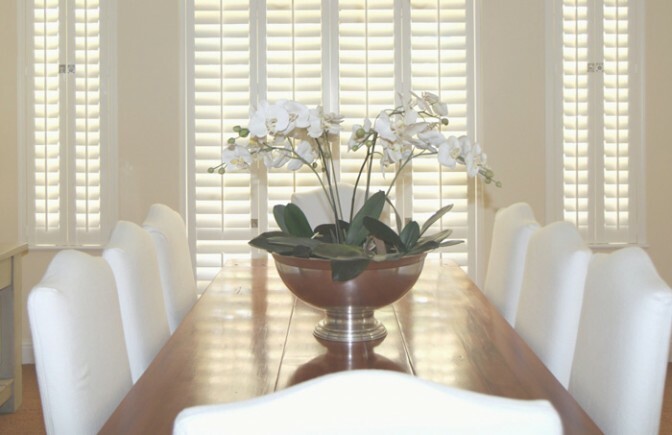 Find out more about our Decowood range of shutters here.